Went to pgatss and bought the remaining 3 Xv trial packs at $10 each. They actually had tons of the 2017 trial packs but they were trying to sell them for $15. Not sure who was in charge of coming up with that one. That actually goes back to the promo at the time. When we (retailers) get in on these promo offers, they are often times different prices from the manufacturer themselves. Considering pgatss sets prices on everything in line with what MSRP or MAP is, I'd say that's the byproduct of differing wholesale pricing at the time they acquired the product stock. Have not seen any performance packs here is Socal yet which is weird as I am literally 10 minutes from Srixon / Cleveland / XXIO HQ . Cannot wait to try both the Z and XV. A little firmer Z might be perfect! Our head pro (sponsored by Srixon for Speedgolf) just got his new clubs and a bunch of XV's yesterday. We went out to play and he gave me a sleeve. Can't wait to try them out next week when I'm in Florida. Well, the 2017 6 packs were also $10 when they released, but I'd guess that they're $15 now because they sell the 2017s for $29.99 a box. Now that these are out, any testing / feedback? Ya, anxiously awaiting some trial packs Love stocking up. Excited to try both this year. Could be an anomaly, but I tried the new Z star today side by side with the ‘17 Z star. I was consistently spinning the new Z star more off the driver and irons. More than I prefer. Has anyone else noticed a spin increase with the Z star? I played a round with the Q-Star tour today, very good ball. I'm playing the Z-Star this year, but the Q-Star is a pretty good ball. Picked up a dz for $20 last month. A little bit softer than the Z, but my distances were about the same. Greens were were too soft to judge spin. Q Star Tour is the real deal. I got a dozen cheap on shop credit but wasn't expecting much, was intending to use it as a practice round ball. Have been using it in competitions and it's been a revelation. Long and straight off the tee and good spin off irons and around green. For my chs of around 100 it's a good fit, as good as any tour ball but cheaper. UK stores offering 3 dozen for £105 plus a dozen free. Marvellous. When I try a new ball I want a sleeve of three, not four dozen. Q Star Tour is a very well kept secret in golf. It's a ball that seemingly fits about 90% of all golfers very, very well. I've said since a few months after it's original introduction that if suddenly proshop/retail stores had to only carry one golf ball, that would be it. I personally think it's the best total package golf ball for most golfers, and is now one of my top two selling models typically. Have to agree based on my experience. Had to swallow my pride a bit as it's marketed as a slow ss tour ball, but I can't ignore the performance I've had. Last weekend I put one in play after scuffing my Cally chrome soft X in a bunker, and went even par over the last 7 holes after being 10 over at the time. Was no luck involved either, just great shot after great shot. 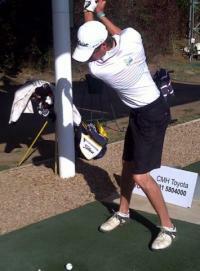 The q star was longer and straighter off the tee and flew off the irons with plenty of spin. I obviously played better, but partly because of the confidence I got from the first couple shots after putting it in play. I really like the Bridgestone tour B XS too, but I have to admit the q star tour is a better ball for my 95-100 ss. I played a round with the new XV on Saturday, same ball for the full 18 holes. 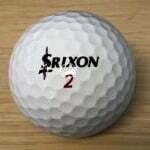 I have to say well done Srixon, this new XV is top notch. It's only been 1 round of golf but I have picked up distance with this ball, especially off the driver where I was roughly 8m further total, I'm guessing this is from the extra carry that this ball seems to be getting. It launches higher off the driver but about the same off the irons. I had no problem with spin off the driver, irons or wedges, this is without doubt still the best ball in the wind, I had no issues with the wind affecting my ball to the point where I wasn't even playing for it, I could take aim for my natural shape and just play for that. Spin around the greens was fine, I need more time around this area to notice any real gains, it's not gripping on the first bounce and stopping nor is it coming out like a bullet and rolling forever, it's right in the middle but then again that could have just been my chipping for that day. Most importantly though it's definitely softer off the putter face! Only for the shorter putts I realized (10foot or so) anything outside that where you're giving it a bit extra the click at impact comes back. One Con: The cover seems to wear a bit easier than previous models... It's not shocking but it's definitely not the same as the older models. Haven’t played one yet but just upon feel the new cover is tackier than before. The previous Srixons were almost indestructible (especially in yellow) so a little less durable shouldn’t be a large issues. I typically go through 2-3 balls a round on a challenging course , and even if it makes a full 18 it’s retired anyway. Played a round with the new XV today. I have been playing the Q star tour for a winter ball. The temp was about 54 with a wind around 12. I played 9 holes with both balls and the new XV was about 12 to 15 yards more carry over the Q. I will see how it really performs next time vs. last years XV. still good in the wind, and is a little softer. I did carry one long and caught a path, the damage was very minimal, I could still play the ball if I chose to. Havent read the thread I admit. Im wondering if the new xv is softer (subjective I know) feeling than the prior generation. i really liked the prior gen xv performance, but man it was a firm feeling ball. I usually play Pro v1x FWIW. Normally around 102, with winter gear on I would figure around 98. 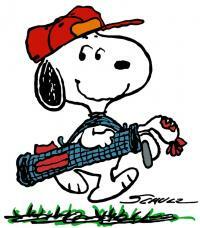 Also it was really wet, so there wasn't any way to judge spin around the greens. Plug ball all day. Yeah, the Q Star Tour is the sleeper in the industry, I think. Love playing that ball. I can work that sucka really well. It doesnt give you the subjective part, but at least now you have the objective part! I have zero way of quantifying it, but I can say that the XV feels a decent but softer than the last gen model. I've been messing around with them for a week or so, and I most definitely like the 2019 feel more than before. That's all I got though... The weather and conditions are way too inconsistent here to tell much performance difference between the two. But I'm very much a feel oriented player, and the feel (for me) is much improved. Thx. Im encouraged by this. Im a feel oriented player too. The prior gen performed well, but felt very very firm to me. I probably dont have the requisite horsepower though, driver ss around 100 these days. at 100-103, is that enough for the XV - and if so, is it softer now ? it is, it just depends on how much spin you need. I will compare head to head next good weather, but I thought no the XV felt softer the other day when it was only mid 50's. I'm satisfied enough with this ball that I've already loaded up with the sample packs. I have been hitting them side by side into my net and the new XV's are clearly softer than the prior model. Not Chrome soft by no means but probably closer to the original KSIG's or maybe TPX. Also agree about the Q-Star Tour, excellent ball and definitely my colder weather ball. At my golf shop today, we had the Srixon rep stop by, he brought a Srixon Forged club (it looks amazing) and he brought the 2019 golf balls. Of course I was given a dozen balls and we talked about the balls...Im going to play the 2019 Srixon Z Star balls, looking a how well it spins compared to the 2018 balls. Evnroll ER5 putter, 370g 34"